We are starting October with a feature on Internal Reform. Be sure to read this newsletter carefully – voting opens next week, Monday, 15 October! 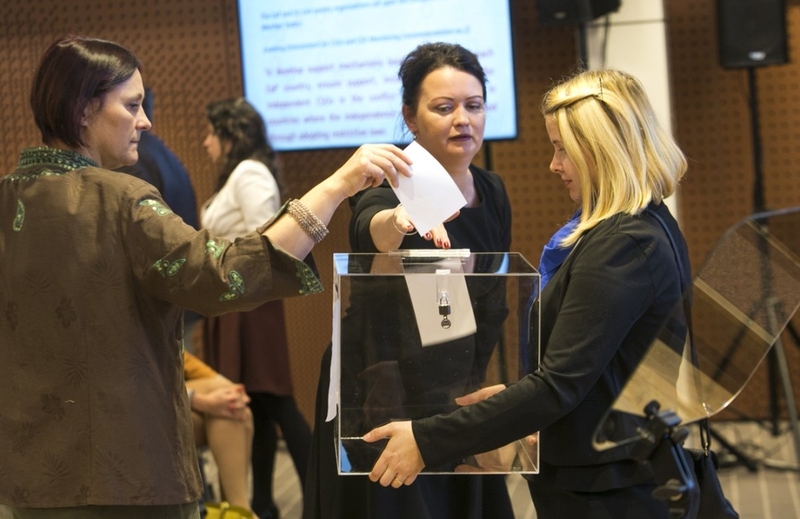 Preparations for the upcoming Annual Assembly 2018 are well under way – with a draft agenda now online and EaP CSF Pavel Sheremet and Civil Society Awards open to nominations from any EaP CSF member. 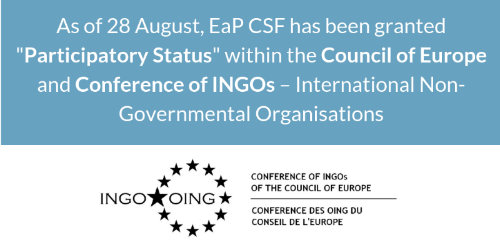 We are also proud to announce that EaP CSF has been granted "Participatory Status" in the Council of Europe and Conference of INGOs – International Non-Governmental Organisations. It was a busy time for Working Groups 1 and 3, which held their Annual Meetings in Brussels – addressing EU stakeholders on issues as varied and diverse as media, judiciary and civil society environment on one hand, hydropower, road safety and interconnectivity, on the other. We also participated in a number of EaP Platforms and Panels this month: discussing Future Skills (Platform 4) in Dublin, "One Stop Shop" (Platform 1) in Baku and presenting recommendations on road safety at 15th EaP Transport Panel in Brussels. 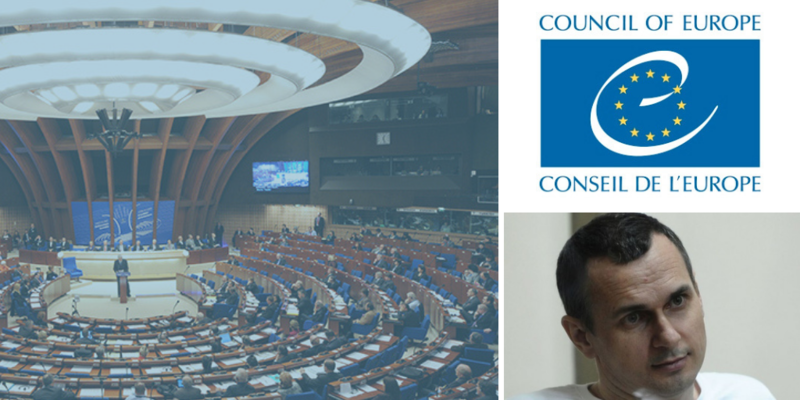 In statements, EaP CSF Steering Committee urges the Council of Europe, and its Parliamentary Assembly – PACE, to consider Ukrainian political prisoners held by Russia, including Oleg Sentsov. Misconstrued reporting shows that Belarus cannot implement the Bologna Process, unless aided by a special support group. Finally, EaP CSF contributes to 8th CORLEAP Annual Meeting in Kyiv, with a message to local government. In this month's focus on Re-granting, we share stories from our two Social Entrepreneurship Schools, held in preparation for Eastern Partnership Youth Conference 2018: "Youth for Entrepreneurship", later this year in Vienna. Please take time to look through our Members Corner and the call for entries for Eurasia Media Innovation Challenge, co-organised by MDI – Media Diversity Institute! Internal Reform: Voting Opens Next Week – Monday, 15 October! As previously advertised, the vote on proposed Internal Reform will open next week, Monday, 15 October! All eligible members will be sent a link, which will allow them to cast their vote online until Tuesday, 30 October. Please do not disregard this – we need to reach 2/3 quorum for the process to be valid, which translates to a total of 102 individual votes! The Internal Reform is a "package" consisting of eight elements – affecting current cycles, delegate selection and the Steering Committee. It also sees the introduction of a Code of Conduct, and an Arbitration body. We have released a video recording – featuring EaP CSF Steering Committee members, Ina Coseru and Ana Otilia Nutu, going through some of the key points. You may also find useful it to browse through our FAQs – Frequently Asked Questions. If you have difficulties to understand the text of the Reform in English, please feel free to switch to Russian. The preparations for 10th Annual Assembly "Leading the Way Towards a Democratic European Future" (10-12 December 2018 in Tbilisi, Georgia) are well under way, with an updated page and draft agenda. This year’s Annual Assembly will focus on how to proactively address the evolving political situation in both the EU and wider region. 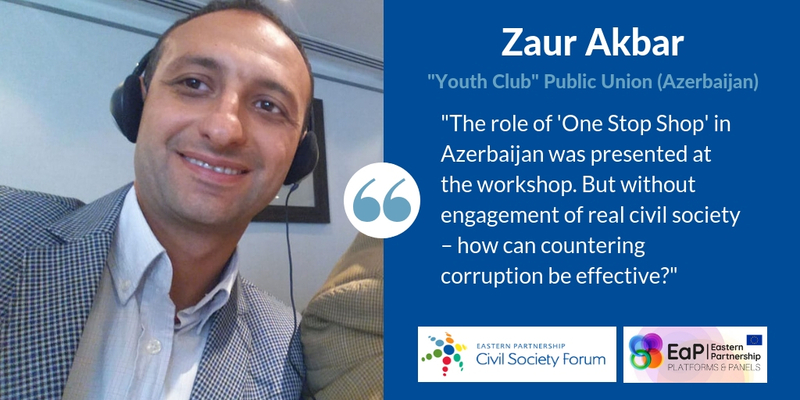 For the first time ever, we will host the EaP CSF Civil Society Award, given to an activist who contributed to defending core democratic values and social, political or economic development in their country. We have also opened nominations for the EaP CSF Pavel Sheremet Award, recognising independent journalism and work done in the name of media freedom. 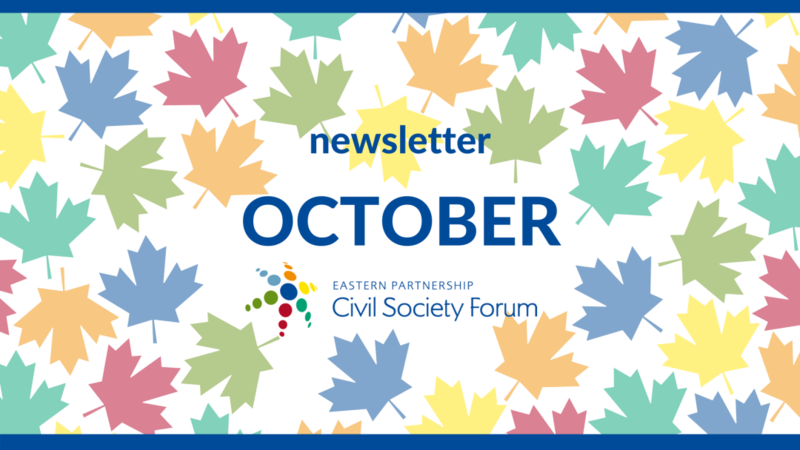 Any member of EaP CSF can submit the name of their candidates to their National Platform until 14 October! Follow our new page for updates: eap-csf.eu/aa2018! 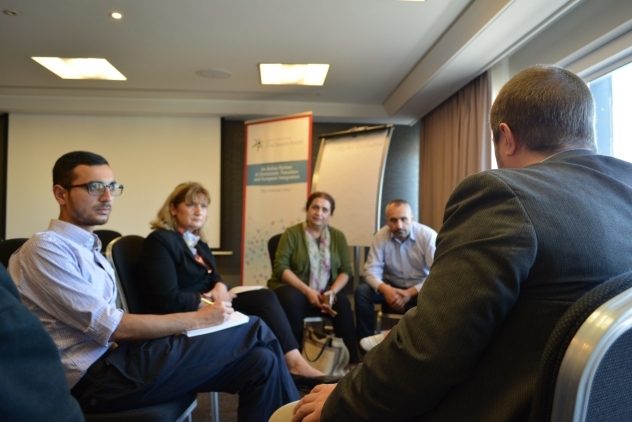 On 11-12 September, EaP CSF Working Group 1 “Democracy, human rights, good governance and stability” held their annual meeting to address the Internal Reform, affecting its future work. But more importantly, it was also a chance to exchange views on participation in EaP Platforms and Panels – as well as developments in the region, on topics such as: enabling civil society environment, Open Government Partnership (OGP), security, media and propaganda, justice, rule of law and corruption, and last but not least, gender. Breaking into smaller groups, members addressed external stakeholders – presenting a set of recommendations to the European Commission: Marta Wytrykowska, Radoslaw Darski (EEAS), Sinziana Poiana, Josefin Emanuel Brattberg (DG NEAR) and Jan Petry (DG JUST) on separate topics. What is more, the recommendations were positively received by Tomas Liptak (Czech Perm Rep to the EU), Timur Onica (EED) and our partners from OGP: Sandra Pernar and Giorgi Kldiashvili. 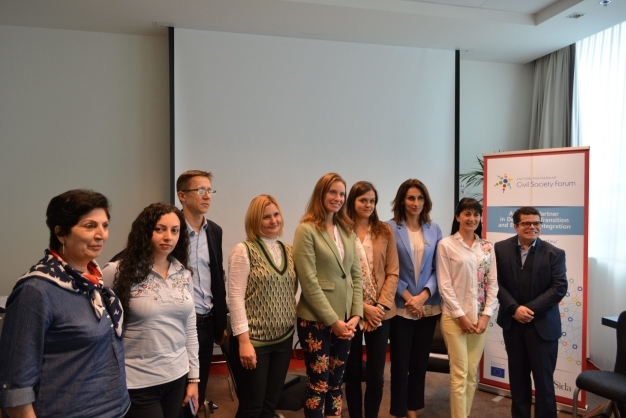 In parallel, we saw a number of advocacy meetings on Armenia – the last of which was held at the Czech Perm Rep to the EU, which involved briefing European Council delegates from COHEST and COHOM. Members could also choose to attend one of the following training sessions: "Advocacy and lobbying", "Monitoring the implementation of the AA with the EU" and "Effective messaging". Search for #WG1Brussels on Social Media to join the discussion! On 12-13 September, Working Group 3 “Environment, climate change and energy security” reconvened in Brussels, to address Internal Reform and update each other on specific issues, affecting the region. During the meeting, the group had developed a number of recommendations, which were later presented to external stakeholders – on issues ranging from: environment, transport, energy and energy efficiency, giving special attention to hydropower, road safety and interconnectivity. The recommendations were well-received by the representatives from the European Commission present in each session – which included Angela Bularga (DG NEAR), Veronika Liskova (DG MOVE) and Marion Schiller Probst (DG ENER), as well as Antonio Nunez from World Bank. What is more, members had a chance to attend a training session on "Developing Effective Messaging". Join the discussion under hashtag #WG3Brussels to know more! 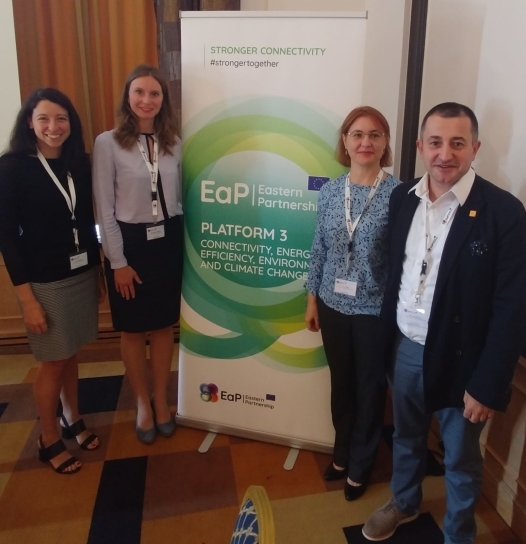 On 27-28 September, EaP CSF took part in EaP Platform 4 thematic workshop “Improving skills anticipation approaches in the age of digital data and industry 4.0” in Dublin, Ireland – looking at labour market, education and challenges brought by new technologies. 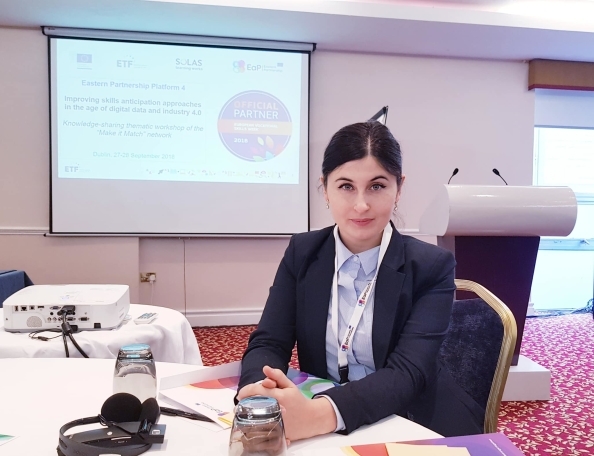 Representing the Forum, Ana Indoitu (National Youth Council of Moldova), presented the situation in each EaP country – focusing on vocational education and different policy approaches. Introducing EaP CSF position paper on “Skills of the future – a road to participatory design”, Indoitu said that “there is a need for better matching of skills with labour market demands” in the EaP countries. This year’s 15th EaP Transport Panel (in Brussels, 18 September) discussed road safety and transport infrastructure – with a particular focus on TEN-T related priorities and the Transport Corridor Approach in the EaP countries. EaP CSF was represented by Iryna Kosse (Institute for Economic Research and Policy Consulting, Ukraine) and Oleksandra Gumeniuk (European-Ukrainian Energy Agency) – who gave numerous recommendations to the Panel, addressing road safety, decarbonisation, public transport, urban mobility and opposition to E40 Waterway. EaP CSF Steering Committee calls on the Council of Europe (CoE), and the Parliamentary Assembly of the Council of Europe (PACE), to consider the fate of more than 100 Ukrainian prisoners, currently held in either Russia or territories occupied by Russia. In a statement from October 4, EaP CSF Steering Committee urges PACE to “use every legal means to force the Russian Federation” to meet Oleg Sentsov’s demand, that is to say, “free all Ukrainian citizens, held in Russian prisons on political charges“. 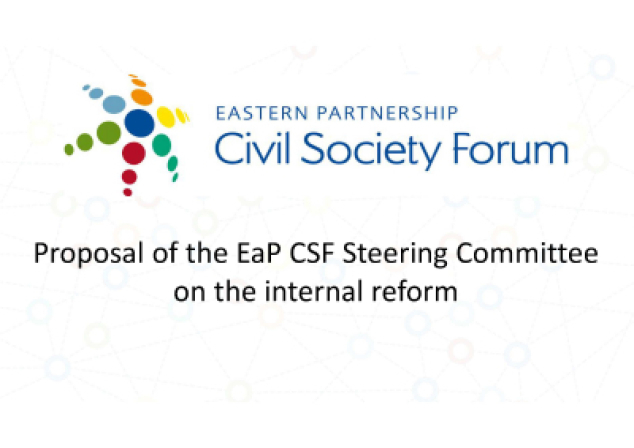 "We cannot accept a compromise on this issue and must continue to put pressure, in the face of the annexation of Crimea and war in Eastern Ukraine", warned EaP CSF Steering Committee, in an earlier appeal to PACE not to review grounds for sanctions. The information submitted by Belarus to the European Higher Education Area in 2018: Bologna Process Implementation Report is largely misconstrued, showing need for a monitoring on the implementation procedure – similar to Advisory Group on Support for the Belarus Roadmap (AG2) and active participation of civil society. 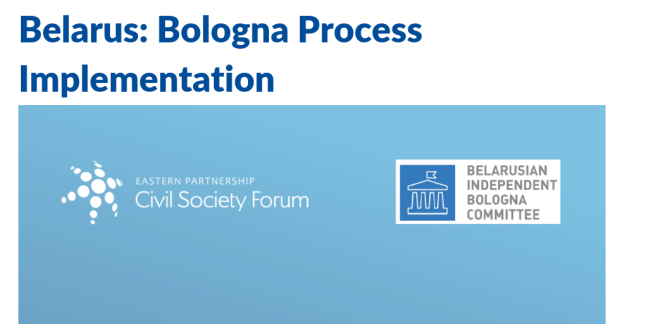 The message from the Belarusian Independent Bologna Committee (BIBC) and EaP CSF Belarusian National Platform Ad Hoc Committee is clear: Belarus is still in need of a special Bologna Follow-Up Group (BFUG) assistance – we read in a memo addressed to BFUG, ahead of its planned meeting on 27 September 2018. 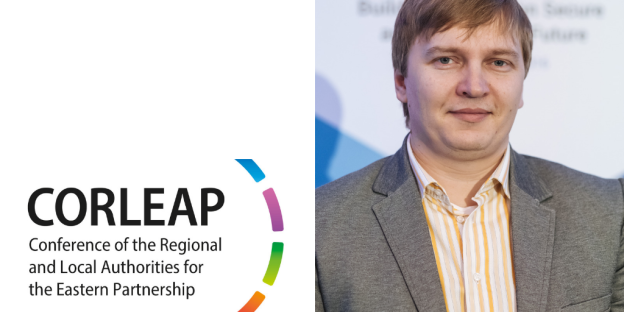 On 24 September, Eastern Partnership Civil Society Forum (EaP CSF) contributed to the Conference of the Regional and Local Authorities for the Eastern Partnership (CORLEAP) 8th Annual Meeting in Kyiv, Ukraine. 2nd Association Exchange Forum, held on 19-22 September, in Kyiv, Ukraine brought international experts and policy-makers to discuss progress made on the implementation of EU Association Agreement in Georgia, Moldova and Ukraine. 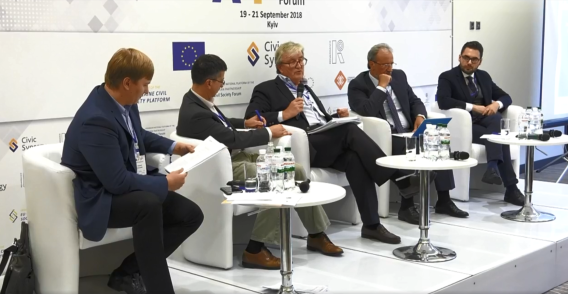 EaP CSF lead the session on 2020 Deliverables – with Hennadiy Maksak, Steering Committee member and Ukraine Country Facilitator, moderating a joint panel discussion on the second day. Krzysztof Bobinski, EaP CSF Steering Committee Co-chair, Kakha Gogolashvili and Iulian Groza were among those invited to speak. Article – "2nd Association Exchange Forum Brings Civil Society, Government Officials and EU Stakeholders to Kyiv"
On 10 September, EaP CSF and European Endowment for Democracy (EED) held a joint panel discussion – bringing representatives of civil society, European policy-makers and stakeholders together to discuss progress achieved so far in Armenia. The discussions concerned judicial and electoral reforms, as well as media environment – the key sectors for ensuring sustainability and long-term aims of the Velvet Revolution. A WG1 Annual Meeting side event, the panel included speakers from the country: Haykuhi Harutyunyan, WG1 Coordinator and Boris Navasardian, Armenia Country Facilitator. 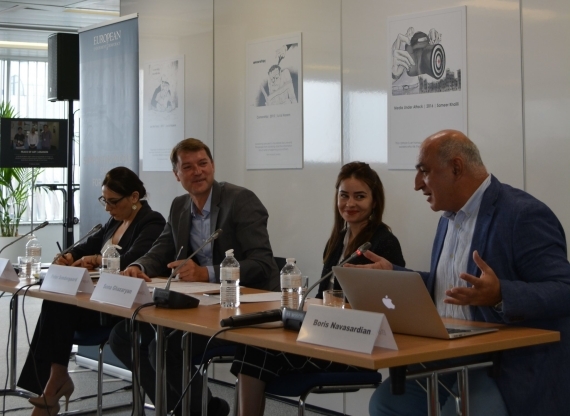 Article – "Debate on Challenges Faced by Pashinyan’s Administration Ensues at 'Securing the revolution' Panel at EED, Brussels"
Learn More About 2018 Re-granting – Share Your Own Story! The 2018 EaP CSF Re-granting Scheme includes 13 projects, spread across all five Working Groups. 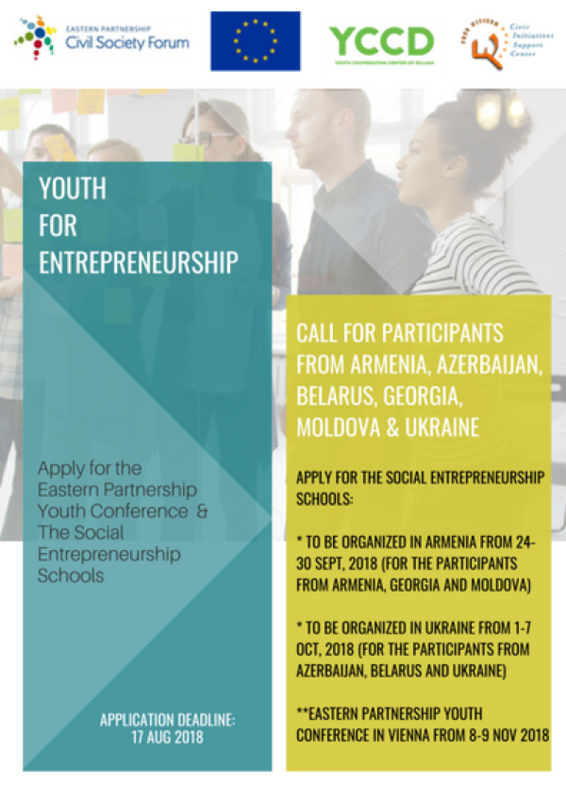 This month, we share some Re-granting stories from Armenia and Ukraine in the run-up to Eastern Partnership Youth Conference 2018: "Youth for Enterpreneurship", on engaging youth and promoting new, innovative ideas! If you, or your organisation, is taking part in this year's Re-granting scheme, we encourage you to share your input. Submit your stories, photos or media articles to us! WG4 "Youth Economic Empowerment through Social Entrepreneurship" and "Youth for Entrepreneurship in Rural Areas"
In preparation for Eastern Partnership Youth Conference 2018: "Youth for Entrepreneurship" (Vienna, 8-9 November), two Armenian organisations (Youth Cooperation Center of Dilijan NGO and “Free Citizen” Civic Initiatives Support Center NGO) lead two separate Social Entrepreneurship Schools: one in Dilijan, Armenia (24-30 September) and the other in Kyiv, Ukraine (1-7 October). The aim of the Social Entrepreneurship Schools is to give potential young entrepreneurs an opportunity to develop their entrepreneurial skills, increase their employability, and strengthen their involvement in the economic life of their communities. Participants are encouraged to start social ventures, develop a socially-oriented entrepreneurial mind-set and transfer the skills gained back to their communities. Eurasia Media Innovation Challenge supports creative ways to produce and distribute high-quality content, leading to a better-informed public. Thanks to support from International Center for Journalists (ICFJ) and Media Diversity Institute (MDI), the programe offers grants of between US$5,000-US$100,000 to applicants proposing innovative projects to provide quality news and information to Russian-speaking populations – in countries including Armenia, Azerbaijan, Belarus, Georgia, Moldova and Ukraine. Past proposals included entertainment series, satire, cultural content, as well as mobile apps, games, documentaries and radio programmes. Please apply before 11 November! Would you like to contribute to the Forum – with your skills, knowledge and expertise, by taking part in EaP Platforms and Panels multilateral meetings? 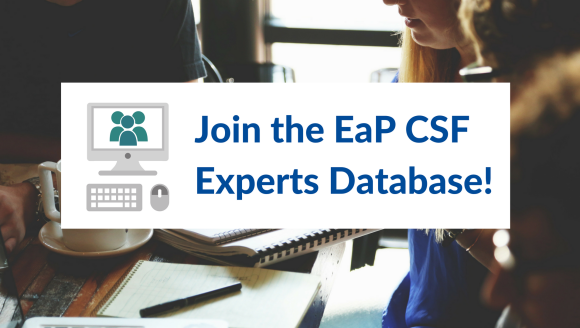 Register in our online experts database and share your expertise with the EU and EaP stakeholders! Join more than 200 members who have already registered.